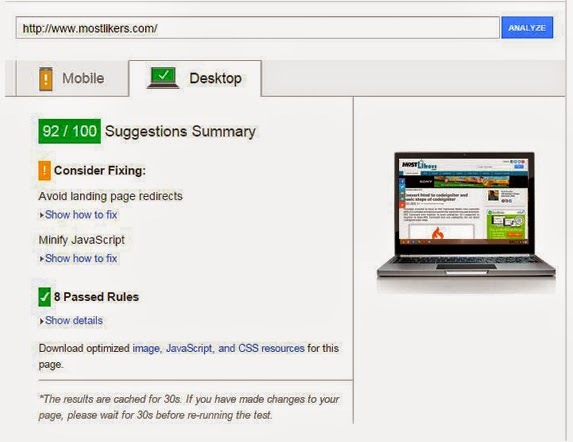 Analyze and optimize your website with google PageSpeed tools. Page loading time is obviously an important part of any website’s user experience. if your page loads slowly, you could lose people for that the reason. I would suggest testing your website in Google pace speed Insights tool. Let see about Google Pagespeed Insights. Google Pagespeed Insights one the popular website speed test website. it will measure the performance of a desktop and mobile device. it analyzes your site’s front-end performance and offers optimization suggestions. Its score ranges from 0 to 100 points.If you get 85 or above indicates that the page is performing well. the indicating 3 level of color (Red,Yellow,Green) based on speed range point. Time to above-the-fold load : Elapsed time from the moment a user requests a new page and to the moment the above-the-fold content is rendered by the browser. Time to full page load : Elapsed time from the moment a user requests a new page to the moment the page is fully rendered by the browser. How to test website in Pagespeed insights tool ? 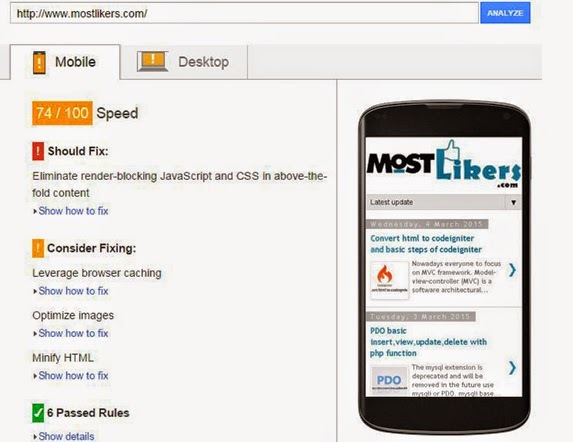 Enter your website or web site particular page URL like www.mostlikers.com click analyze button. PageSpeed Insights tool measuring site structure. It will explain how to fix that issues and passed rules. for this one especially online shopping website best useful to make website speed. check your website weekly once make speed and get more user visit. I hope this post helpful for you. Thank you for visiting with us keep in touch.